The planet is warming and natural systems are failing, and our children’s children are already guaranteed a different Earth. But it’s not too late to stem the effects of climate change, according to scientists at Oak Ridge National Laboratory, the site of multiple research projects and experiments delving into increasingly complicated climate science. In the world of politics, however, climate change is not an imminent threat and may not even be occurring—at least according to one of President Donald Trump’s campaign planks, and Trump’s initial budget promises potentially deep cuts to scientific research. But it’s too early to tell how the budget might affect the ORNL Climate Change Science Institute, Director Jack Fellows says in an interview earlier this month. The prolonged nature of some of the institute’s experiments—some last as long as 10 years—could buffer the program against deep cuts to the institute, which has a budget of about $50 million and a research and support staff of about 140. Each of the nation’s seven national labs participates in climate research, ranging from sea-level rise to economic impacts and, in the case of ORNL, affects on the land and ecosystems. “In the scientific community, it’s overwhelmingly believed that not only is climate change occurring, but it is driven by humans,” Fellows says. The National Oceanic and Atmospheric Administration and NASA concluded earlier this year that 2016 was the warmest year since climate records were first collected in 1880. Locally, high temperatures broke 60 for a weeks-long stretch in February, prompting early budding of some plants—later frozen when seasonal temperatures returned in mid-March. Most of the state is still in some level of drought, and deadly wildfires erupted across East Tennessee last year, including the Smokies conflagration that killed 14 and devastated parts of Gatlinburg and Sevier County. The institute at ORNL—run by the Department of Energy—is involved in experiments that calculate how increased temperatures will affect Appalachian mountain forest ecosystems; the potential for the release of massive amounts of additional carbon dioxide from peat bogs along the Canada-U.S. border; and how construction design, and even road materials, may have to adapt. And that’s just a sampling of the institute’s work. By early next decade, the institute will have access to the world’s largest supercomputer, capable of breaking down the entire planet to scales of 2.5 miles. The plots will be accompanied by a vast trove of climate data collected around the globe and processed through the computer. “One of the biggest issues is persistent heat,” Fellows says. Currently, there are about five to six days with temperatures above 95 degrees annually in the Knoxville area. Climate projections and modeling indicate that between 20 and 80 days with such high temperatures will become the norm, he says. 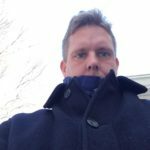 Conversely, the number of days when the temperature drops below freezing will decline significantly. That means “a lot of pests will survive winter, and will attack forest foliage.” Natural systems have developed defenses over tens of thousands of years vs. the roughly 100 years of human-induced warming. “If you go through many cycles of that, you can damage trees,” he says. On a more practical note, such soaring temperatures can also affect productivity and will stress electrical plants. Members of the institute have met with industry and business leaders, and some have actually inferred “we’re just going to turn up the air conditioning,” Fellows says. It’s not that simple; power plants may not be able to meet that capacity, and increased electricity consumption has an obvious impact on bottom lines. As for budget uncertainties: “One of the things that’s really good about the Department of Energy … is they make long-term investments in experiments,” he says. The national lab in Oak Ridge is also engaged in climate-related research independent of the institute. For example, Omar Abdelaziz, a native of Egypt and student of Cairo University—he earned his doctorate at the University of Maryland—is developing alternative refrigerants that emit far less pollution than traditional counterparts. 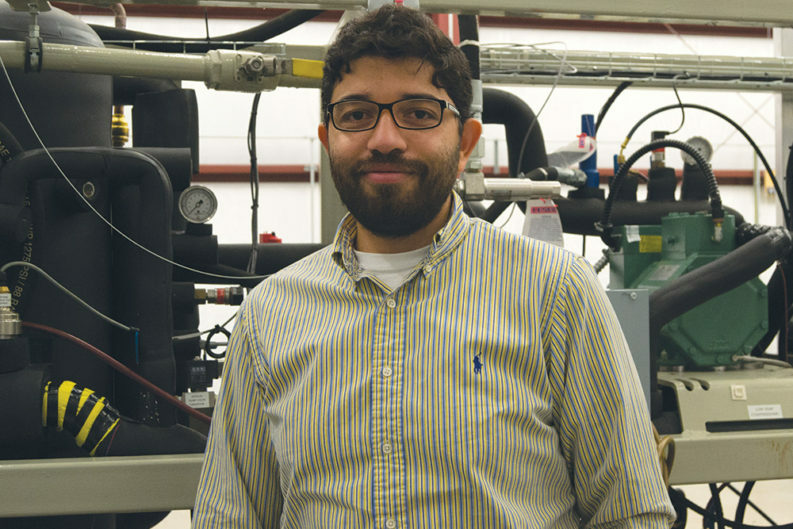 Refrigerants and coolants—on both a residential and commercial scale—contribute about 30 percent of the greenhouse gases, including carbon dioxide, linked to global climate change, says Abdelaziz, group leader of Building Equipment Research in the Energy and Transportation Science Division of ORNL. Some refrigerants have 4,000 times the global-warming emissions than carbon dioxide, he says. But refrigerants have become gradually less harmful over time, he says, and in that he finds hope. “People worked together, nations worked together, and we were able to move from here to there,” he says. He references the Paris Agreement among more than 100 nations in 2015. Trump has said he would pull the U.S. from the pact, which intends to restrict global temperature change to an average of about 2.5 degrees. Failure to meet that goal, Fellows says, could have harsh circumstances. “There’s a feeling in the scientific community that could trigger some tipping points we don’t quite understand,” Fellows says. One projection suggests average global temperatures could increase by 8 degrees if emissions of carbon and other greenhouse gases aren’t curtailed. Abdelaziz chooses his words carefully during the interview; the majority of his funding—and the work overall at the separate Climate Change Science Institute at ORNL—comes from the Department of Energy, though some funding comes from partnerships and grants. Abdelaziz says he will be relentless in his research, as will other scientists at ORNL, many of whom are involved in climate research ranging from the effects of warming and drought on native plants to production of more energy-efficient structures. He is, after all, the father of two, and a parent has to have hope. “If people want to get things done, they need to work together collaboratively. The Paris Agreement was a great step in the right direction,” Abdelaziz says. But modern challenges are more acute than the refrigerant protocol agreed upon 20 years ago. See Also: Our extended Q&A with scientist Omar Abdelaziz.